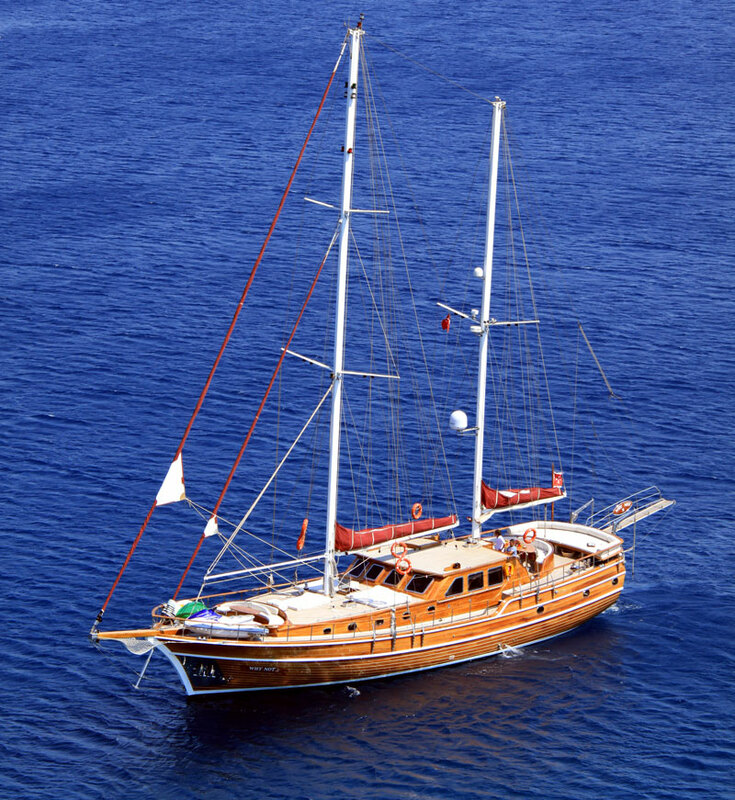 Luxury sailing Gulet WHY NOT 3 was built by Bodrum Shipyard and launched in 2007. 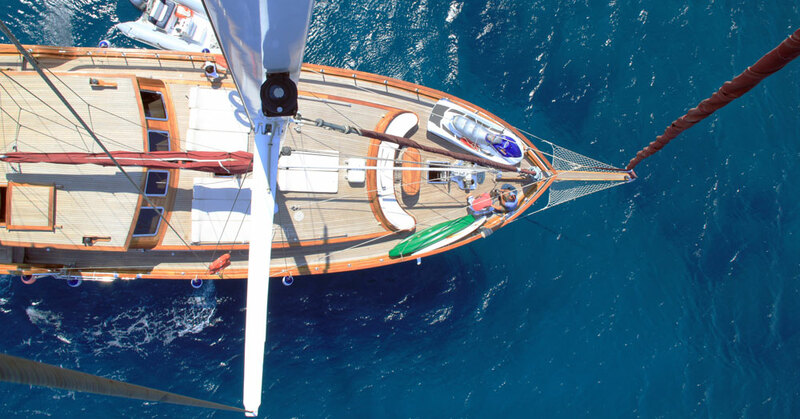 Measuring 24m (78ft), the ketch rigged WHY NOT 3 sailing yacht offers accommodation for up to 8 charter guests, in 4 en-suite cabins, sailing the warm azure Balearic waters. 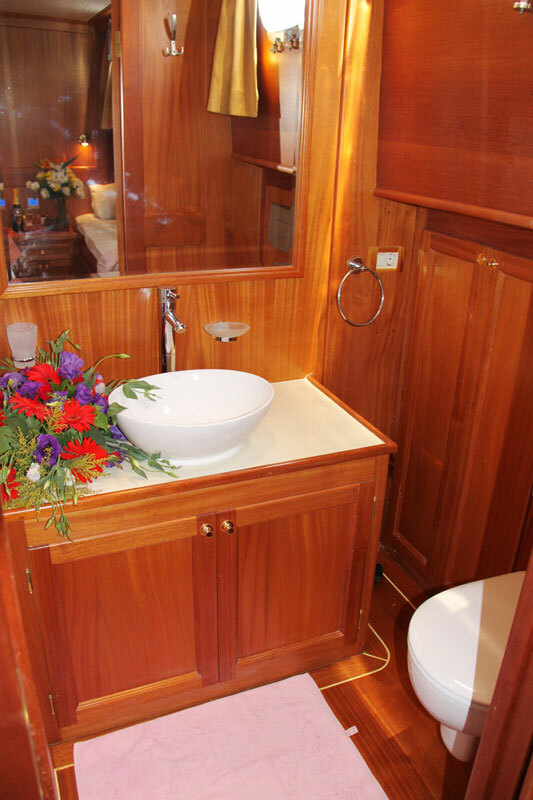 S/Y WHY NOT 3 has an elegant interior of fine wood craftsmanship and neutral soft furnishings. The salon and dining is a contemporary open plan, featuring an integrated lounge and dining table, with complete entertainment center opposite. A wet bar provides a fabulous social aspect to the salon and is ideal for evening aperitifs. 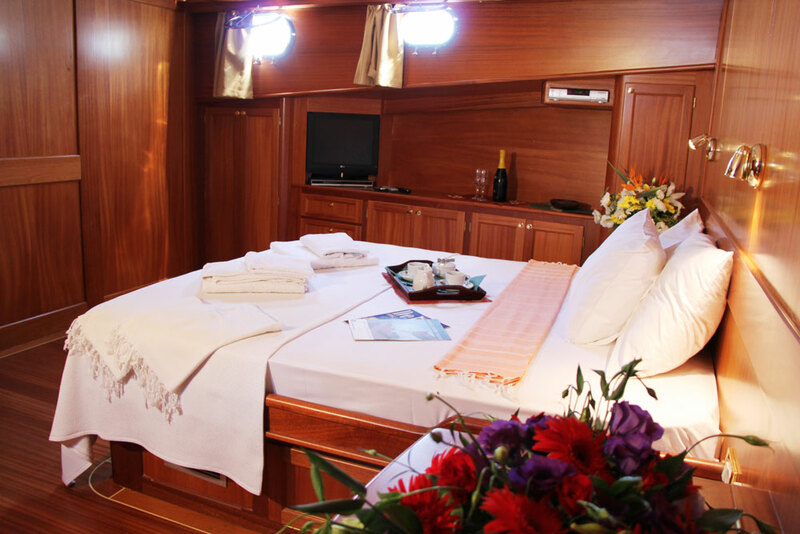 Below decks, 4 guest cabins are comprised of 2 master suites and 2 guest suits, all with en-suite facilities and TV entertainment. 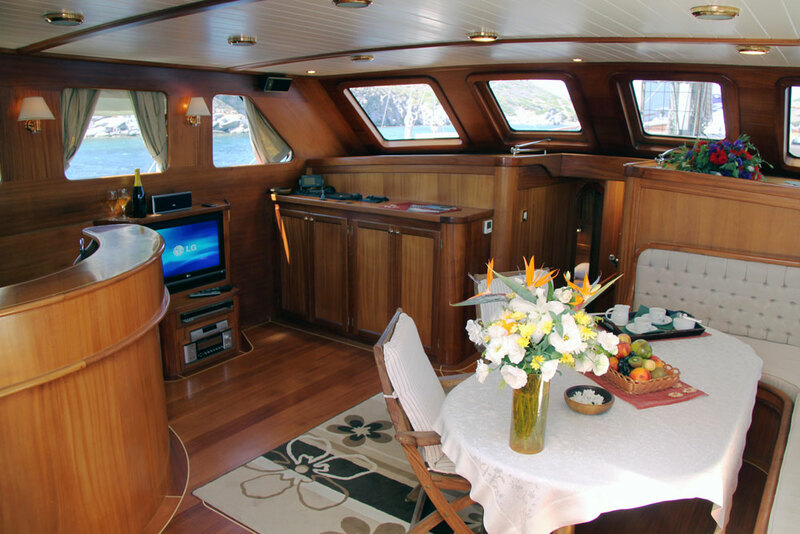 Crewed charter yacht WHY NOT 3 boasts ample exterior deck space. 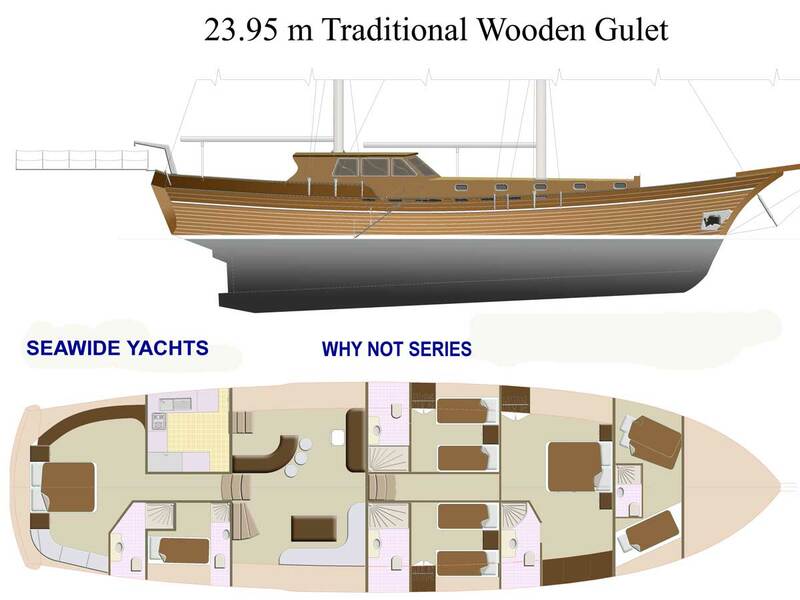 The aft deck has an alfresco dining option, seating and full beam aft sunpad. 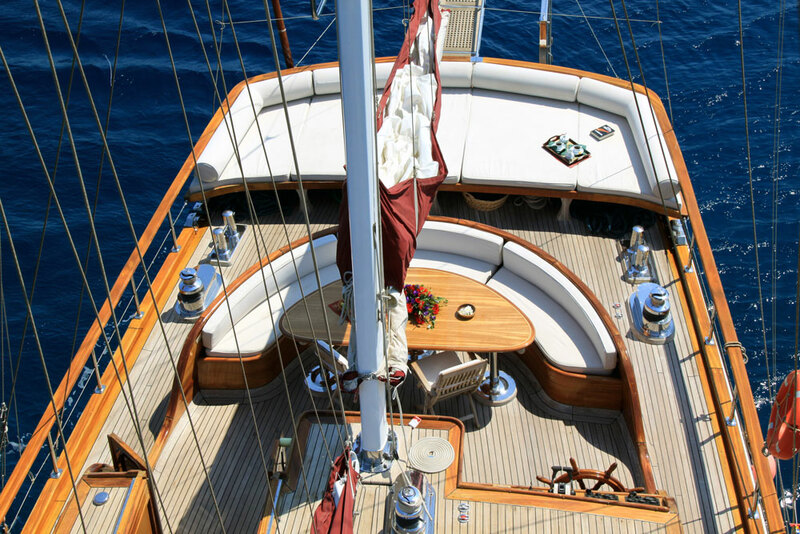 Wrap around decks lead to the capacious foredeck, where a further alfresco area with seating awaits. 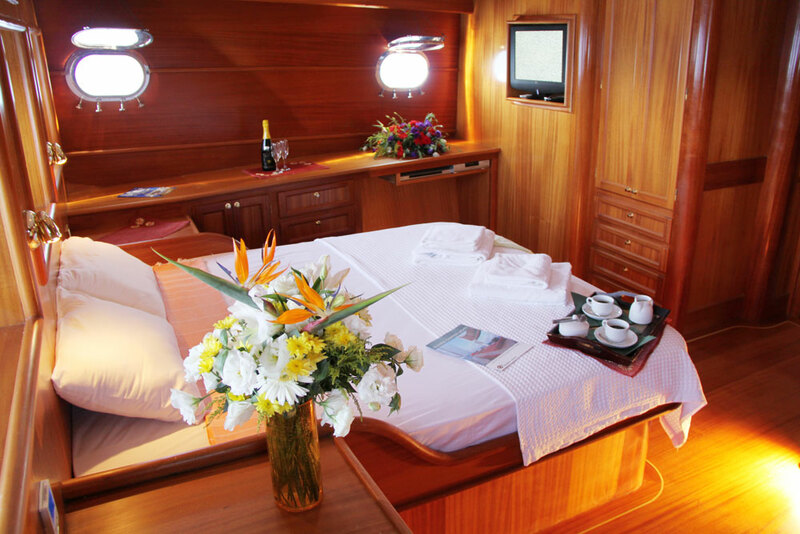 Deluxe sunpads on the cabin house will please the sun lovers, while offering spectacular views. 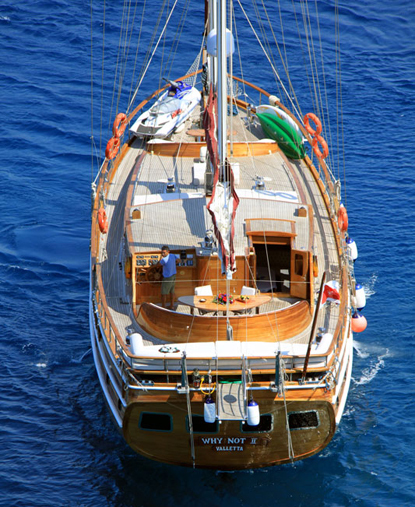 Powered by 2 x Volvo Penta 240hp engines, WHY NOT 3 Gulet averages speeds of 8 – 10 knots. 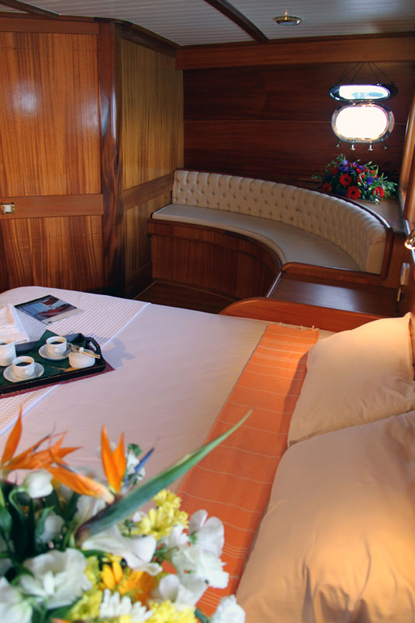 The sailing yacht WHY NOT 3 can accommodate 8 charter guests, in 4 well-appointed, en-suite cabins. 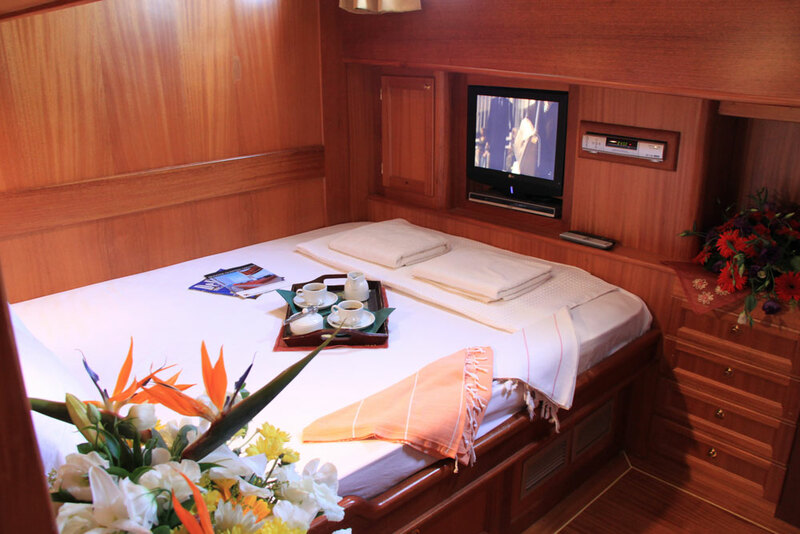 Two master suits are fore and aft of the yacht, both featuring a full beam layout, king size bed, sofa and vanity. 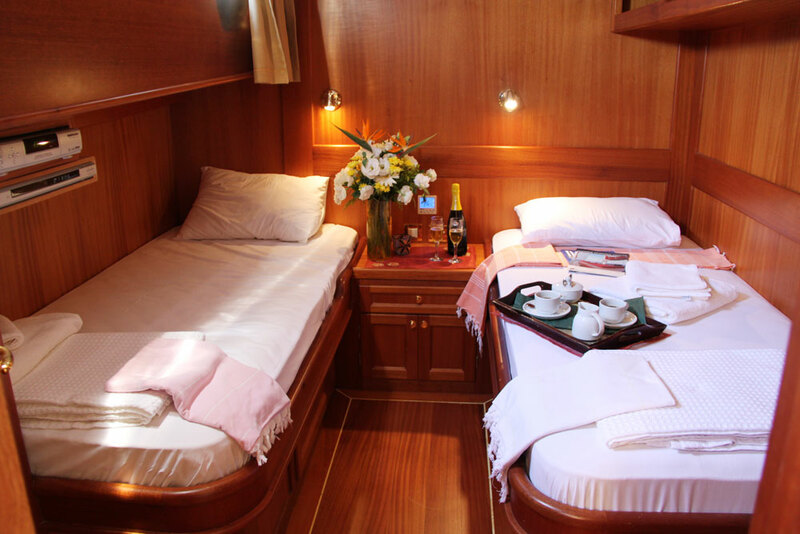 Two guest suites are on port and starboard, with side by side twin beds. WHY NOT 3 is fully air conditioned throughout. The fine detailing and custom joinery give a warm and welcome ambiance, sure to please the discerning sailor. 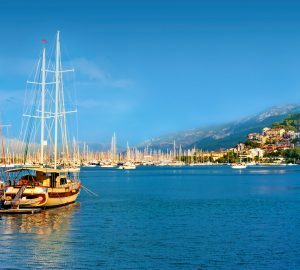 Please contact CharterWorld for a full list of yacht charter amenities an extras the WHY NOT 3 charter yacht offers.